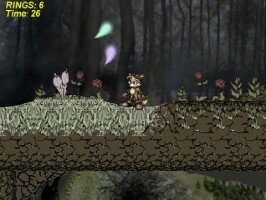 The most original fangame at SAGE! I’ll come out and say it right now: Sonic Nebulous is sort of weird. I mean that in the nicest way possible. 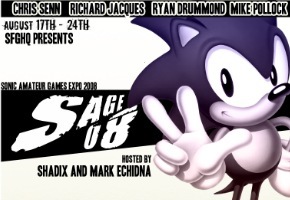 The most immediate defining factor in all of this is the fact that the game has made over the entire Sonic cast in a brand new art style fitting of the word “Nebulous” – darker, muted colors and slightly twisted character designs are the name of the game here. For those of you who have been in this community for as long as I have, imagine “Sonic: Thirdscape” done SatAM Style. Yes, love it or hate it, this game remakes the SatAM Sonic Universe in its own image, with Princess Sally, Bunnie Rabbot – the whole gang. And when I say “the whole gang”, I’m not being facetious; not only will Sonic Nebulous feature every major SatAM Character, but it goes far beyond, for a total of 31 playable characters. Though I only tried a small handful in the demo, most of them seem to function relatively similarly – sure, Tails flies, and Sally has a rather abusive teleport ability, but quite a few of them seem to be just clones of Sonic. The game features about 8 or 9 levels total – I don’t know whether to consider this a whole game or not. 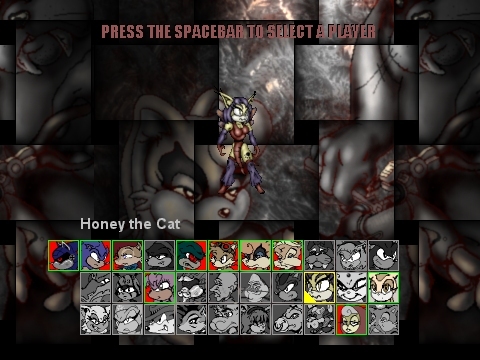 While it’s obvious you do face off against a Final Boss type character, the lack of over half the playable characters on the select screen is a bit confusing. Regardless, it should be a compliment either way to be able to say, “There’s a full game’s worth of content here”. 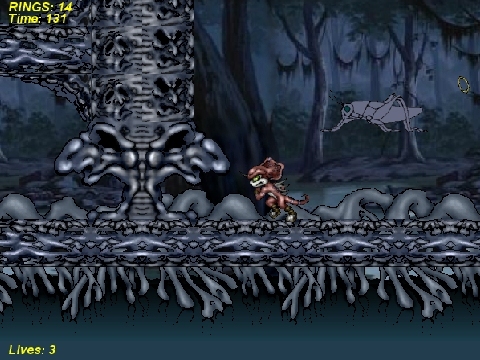 Everything in this game, including the levels, is rendered in the game’s unique art style, and is made up of original graphics. You won’t find any ripped Sega Genesis tiles here. The game does have its fair share of problems, though. Regardless of how creeped out I am by the game’s art style, the game unfortunately has a few bugs. Quite often when you jump, for example, you do not move to a jumping animation – you’ll just sort of float off the ground in your standing animation, which means you’re going to be hit by an enemy if you’re on the attack. Sometimes, even though you’re in a jumping animation, you’ll still get hit by an enemy. Collecting rings after taking damage is difficult, if not impossible, due to the fact that most of your dropped rings just fall through the floor and directly off the screen before you have a chance to collect them again. And then there are little visual hiccups – because the game’s camera likes to zoom in and out on the action depending on how fast you are running, frequently you will see the “seams” in the level tiles show up. Speaking of the camera, it deserves special mention – often when going around a loop it will attempt to rotate with the character, but all that ends up doing is creating a disorienting mess where you aren’t quite sure which direction is up. Then there’s the simple fact that most characters in the game can run straight up a vertical angle with little or no momentum to speak of. And, of course, no gamepad support – a big pet peeve of mine. 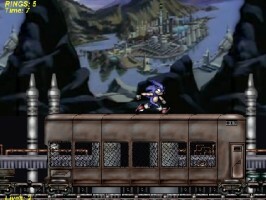 Regardless, though, I think Sonic Nebulous is worth checking out, even if just for the art style. PSO v2 Coming to PS2?